The 2018 International Mother Language Day celebrations jointly organised by the Bangladesh High Commission, Ministry of National Co-existence, Dialogue and Official Languages, National Unity and Reconciliation, Sri Lanka Foundation Institute, Sri Lanka Scout Association and university of Visual and Performing Arts was held at the Viharamahadevi Park, Colombo yesterday. Former President Chandrika Bandaranaike Kumaratunga who was the Chief Guest on the occasion said that, “the mother tongue for every human remains her/his first language. All other languages that a person acquires progressively becomes a second language. “For each of us, the mother tongue is the key symbol of our individual identity,” the former President said. Across villages, towns or metros where we all live-work-advance, multi-lingualism is a fact of life. We must learn to thrive in multi- cultural environment need to learn and grow up respecting the differences in expression, images ,forms, richness of human life asks each of us to understand and celebrate individual identities. Only through the acceptance of the “other” can we prosper, she added. “In order to foster sustainable development, learners must have access to education in their mother tongue and in other languages. It is through the mastery of the first language or mother tongue that the basic skills of reading, writing and numeracy are acquired. 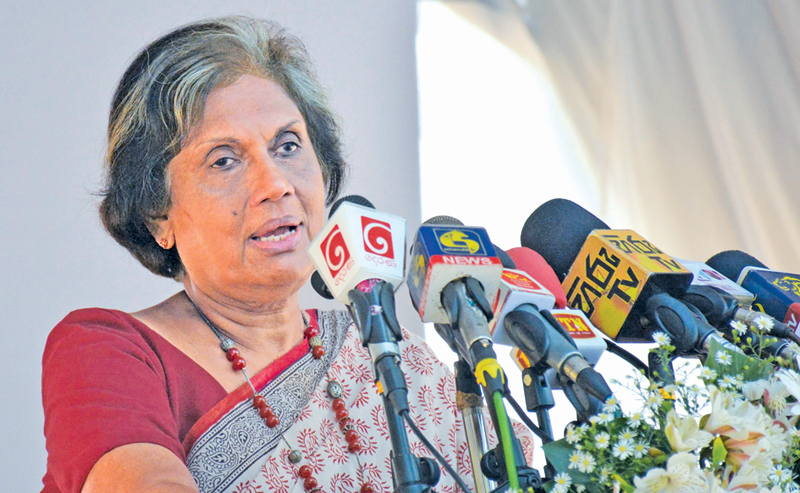 Local languages, especially minority and indigenous, transmit cultures, values and traditional knowledge, thus play an important role in promoting sustainable futures,” former President Kumaratunga said. She further added, While much of people’s original thoughts and actions are shaped and reflected through the mother tongue, we also need to learn foreign languages for a myriad of purposes,”the former President said. Focusing and protecting and promoting the fundamental right of all people, to use their respective mother tongue is crucial. Promoting multi-lingualism is about sustaining a multi-ethnic, multi-cultural nation. Peace –stability-harmony-sustainable development within and across societies and nations can only be attained by advancing linguistic and cultural diversity in mutual trust and mutual respect. National Co-existence, Dialogue and Official Languages Minister Mano Ganeshan, National Integration and Reconciliation State Minister A.H.M.Fowzie, Bangladesh High Commissioner M.Riaz Hamidullah,Sri Lanka Foundation Institute Chairman Dr.Sarath Kongahage,National Co-existence, Dialogue and Official Languages Secretary W.M.P.G.Wickramasinghe and National Integration and Reconciliation Ministry Secretary Velayuthan Sivagnanasothy as National Integration and Reconciliation Ministry Secretary were also present.